We are your local, family run, independent kitchen and built in appliance specialists in Cornwall. 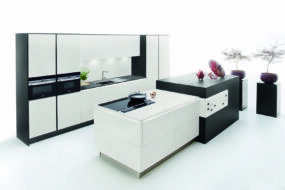 Kitchen Kit Ltd specialises in quality German kitchens and appliances. With a wealth of experience Nigel and his team have designed, supplied and installed kitchens throughout Cornwall for nearly a decade. We have selected the brands we offer carefully and have built strong relationships with them over the years. 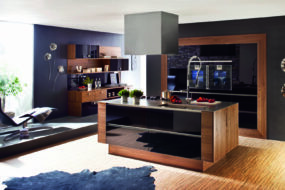 The two German kitchen brands we sell are Nobilia, the world’s largest kitchen manufacturer in the world and Ballerina, one of the best German kitchens on the market. 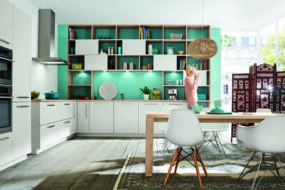 We will design your new kitchen from scratch with a variety of accessories, storage units and door styles. It will give you the opportunity to have exactly what you want instead of what is just in stock. Our team will manage your kitchen project from start to finish, which will be included in the price and help you on every step of the journey, even after the kitchen has been installed. 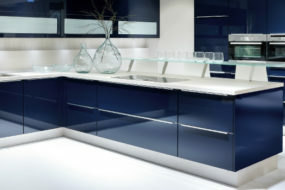 We will design, supply and install your dream kitchen for a price that might just surprise you. We specialise in built in appliances from brands such as Neff, Bosch and Siemens, with over 40 on display in our showroom. You can trust us to offer impartial advice and excellent customer service. With multiple years experience in appliance service, we are perfectly placed to offer no nonsense advice on products regarding their reliability and life span. If you want advice you can phone us or use the email contact form. Why not take a look around our showroom with this 3D walkaround.